There are strong hints that Karzai is inclined to accede to the US demand, which Washington stipulates as a “deal breaker”. The New Year is beginning with a bang for those casting the dice in post-2014 Afghanistan. January is going to a hyperactive month. Several tracks are converging and going into the long-awaited announcement by the United States President Barack Obama regarding the western military presence in Afghanistan beyond 2014. Pakistan is keeping up the momentum of its ‘goodwill’ and newfound constructive outlook by releasing one more batch of 8 Taliban prisoners, bringing the total number of detainees set free so far to twenty-six. Kabul maintains that by opening an “office for the Taliban”, it becomes possible to “contact official Taliban representatives directly.” Obviously, Pakistan and the US will oversee the logistics as well as prepare the “talking points”. For the US, the core issue is the Taliban’s acquiescence with the establishment of American military bases in Afghanistan. The host country Qatar is resourceful enough to finesse recalcitrant Islamists. Meanwhile, President Hamid Karzai is hoping to drum up an Afghan consensus in favor of the terms of the proposed status of the forces [SOF] agreement between Washington and Kabul. The sticking point is the American demand that the US troops stationed in bases beyond end-2014 will enjoy immunity from prosecution under Afghan laws. There are strong hints that Karzai is inclined to accede to the US demand, which Washington stipulates as a “deal breaker”. Obama expects Karzai to get the SOF sorted out before travelling to Washington next week. Karzai is working hard and seems reasonably certain that he can swing it. b) US bases would be Bagram, Kandahar and Jalalabad while NATO forces would occupy the bases in Herat and Mazar-i-Sharif. Can a ten to fifteen thousand-strong western army undertake effective military operations in such a large country? At the peak of the “surge”, David Petraeus commanded ten times that number of troops but couldn’t defeat the Taliban. Clearly, Afghans will sooner or later begin to perceive that the western objectives in setting up the military bases are almost entirely geopolitical. And they may not want their country to be under foreign occupation even if they are hustled into accepting the SOF today. At the Paris meet last month, Taliban and the Jamiat-e-Islamial took one common stance, namely, foreign troops should leave Afghanistan. What brought the two adversaries together was the burning spirit of Afghan nationalism. 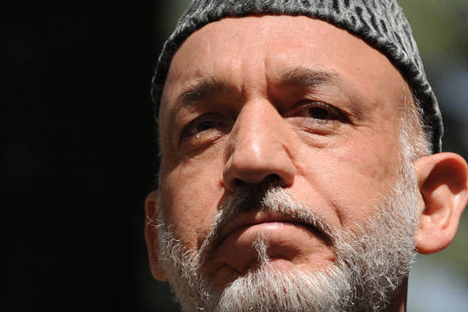 Karzai’s efforts on behalf of the Americans may go horribly wrong and the SOF can backfire on him – and Obama.